Where one falls, many will take his/her place. From left: 玺儿，麦麦，二分月，墨香，白·胭脂，思晓，盛唐明华，易易，龙的传人. Translator’s note: On the evening of October 16 one year ago, Sun Ting (alias; net alias Muka)’s unfortunate encounter with fanatic anti-Japanese demonstrators has left a significant scar among Chinese people, as their own kind mutilated their brethren in the name of ‘patriotism’, but led to international humiliation and a stinging pain among those who believe in restoring China as a land of virtue and decorum. One year later today, we still see young Chinese students being oppressed at school as their hair gets forcefully cut and publically ridiculed for wearing their traditional clothes, along with a plethora of other social injustices — but the social consciousness continues to stand in vigilance, making a stand for the expression of national and self identity, without the oppression of silent or violent discrimination. Walking down Chunxi Road, downtown Chengdu. 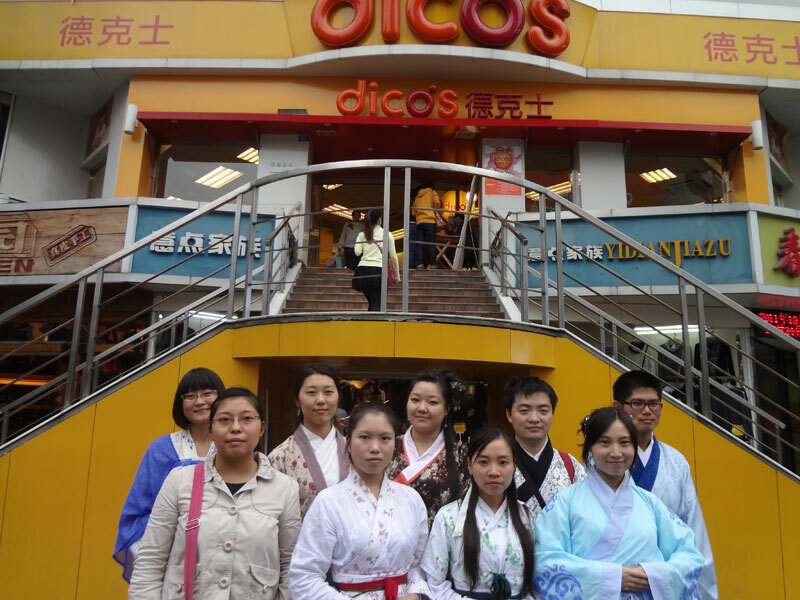 Last year on this day in Chengdu, a shocking event happened here — the Hanfu burning incident. Now, a year has passed, but we have not drowned ourselves in sorrow and anger. We are happy to see that in the events of this year, with the dedication and work of all our tongpao comrades, more and more people are aware, understanding and accepting about Hanfu. One year later today, we still wear our beautiful yi-shang, standing in the very same place, and honestly accepting the dubious, shocked, or appreciating gaze of bypassers. We need to use our minute bits of strength, to tell everyone in the world: They can burn up Muka [Sun Ting]’s Hanfu, but they will never burn away the Hanfu in our hearts. Restoring Huaxia is a heavy responsibility, and the road is long. We will continue to walk down this path. The Power and History of China has always been in its people. As a blog of Chinese traditions in the modern context, it becomes unbearably obvious and imperative that the issue of the June 4 incident be addressed. As we enter the 20th year since the failed democratic demonstration movement, and although China has come a long way to what it is today, lest us forget the long and painful process of this development. The student movement of 1989 had a vision of equality and freedom of expression, with the causus temporalis as to have the government retract a statement on an editorial, printed on the People’s Daily on April 26, 1989 “a small segment of opportunistic people [students]” plot on unrest [rather than commemorating the death of Hu Yaobang], and took to the streets of Beijing. The proactive spirit of university students and their sense of mission is to be honoured, and should be a role model to us all, especially those who are at their early-20s and studying to become the pillars of the nation. Mistakes and mis-decisions, regardless of who makes it, must bear upon the consequences of its result. The People’s Republic today has undoubtedly adapted to the people much more than had there been no student movement in the late spring, early summer of 1989, and the people have become today less adamant on the forms of state than its effectiveness and solving matters of practicality. However, there is no group more sensitive to the issues of the people than the people themselves, and the “Mandate of Heaven” for any state is to “obey the Heavens and agree with the people”. Lest we the people silence ourselves, and indulge in personal gain over the sight of greater good and natural justice. 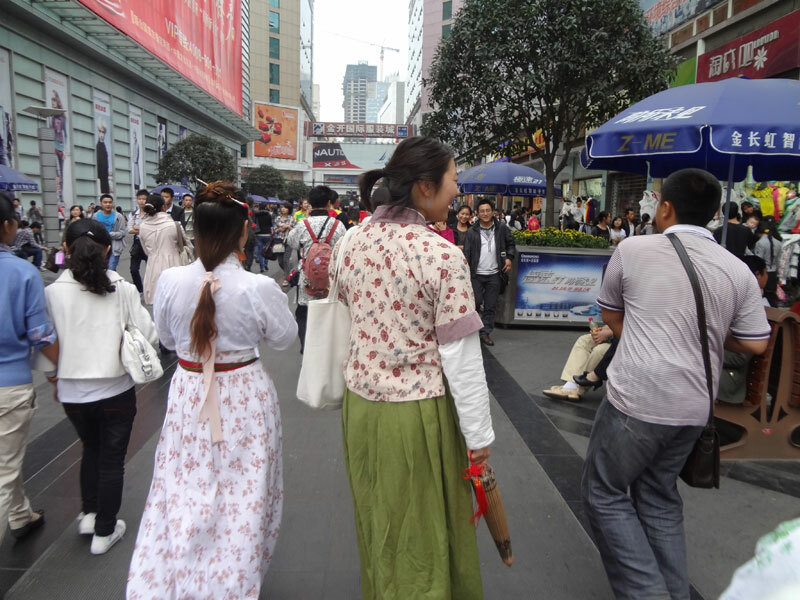 Similarly, the Hanfu movement has started under the pretext of a misportrayal of the Han people and its culture. Wang Letian took to the streets in shenyi and zhaoshan to correct this mistake, and many others are now joining the line as vocalized by him in unison to seek justice over this. 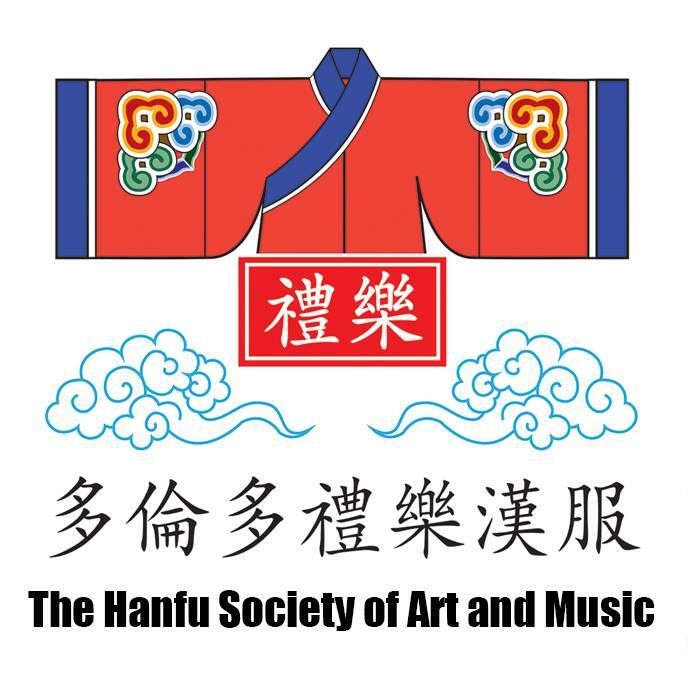 In fear of accusing the so-called “Han-chauvinism”, some promoters have taken into promoting it simply as a “beautiful clothing from the past/of the Han ethnic tradition” – to this, my personal statement is simply the following: History is the story of human imperfection, trying to seek a greater good nonetheless. If we have a mistake, we should swiftly correct ourselves. We may have doubts, but if one has to distort truth for the sake of consideration of current situations or benefits, then that is not the Natural truth. Correct it, now!